How To Tell Someone They Need A Hearing AidAre Hearing Loss And Brain Function Related? Many clinics pay their clinicians large incentives to meet sales targets, and they are therefore encouraged to recommend the more expensive options. At your appointment, make sure you receive a clear understanding of your results, and ask for a copy for future reference. Make sure you clearly understand the cost (ask for a specific quote) and what this quote does and does not include. Focus Hearing is a 100% independent, privately owned clinic, meaning we are not owned or affiliated with any one manufacturer. We supply and fit all of the major hearing aid manufacturers, and do so with our Satisfaction Guarantee. Our University trained clinicians take the time to explain your options. Our goal is NOT to tell you what you need or must have, rather to help you clearly and easily understand the various options available to you so YOU can indicate what you feel is most appropriate. 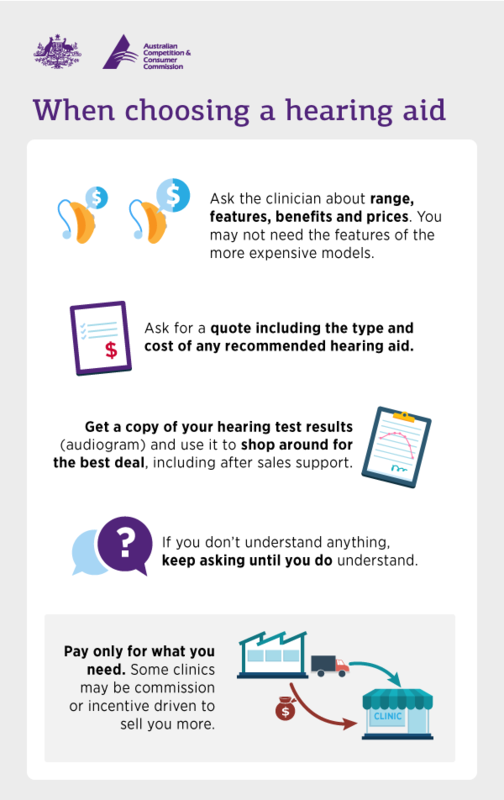 No commissions or incentives are paid to our audiologists. Our pricing structure is carefully calculated so you can be sure you are receiving the best possible price for your hearing aids, whilst also ensuring we will be around long into the future to continue to support and assist you whenever it is required. We are one of the very few bricks and mortar clinics that openly indicate our pricing on our website so there are no hidden surprises. This transparency continues right through the consultations.